Connecting with nursing homes can be much easier with this pre-built email list from Bookyourdata.com. This nursing home list is the perfect business-to-business (B2B) marketing tool and can help you get in touch with key contacts. Find nursing homes, connect with their key staff, and enhance your marketing campaign all after just a few clicks. 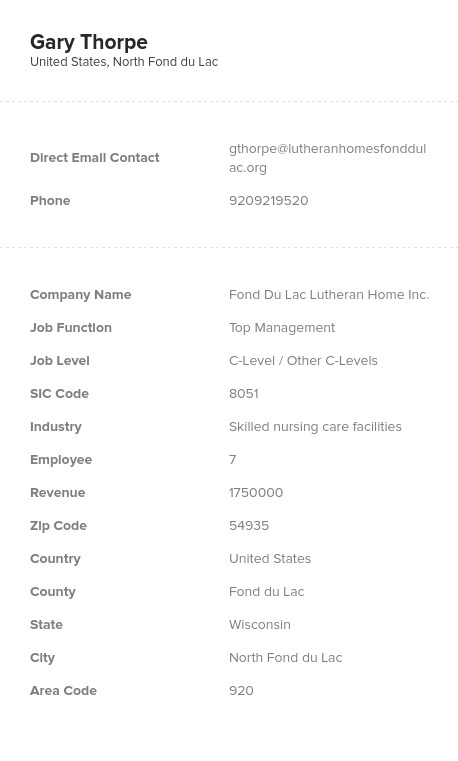 Download our huge nursing home email database and find the emails, names, numbers, and direct contact information you need to start marketing and networking. With this ready-to-download list, you can both find and get in touch with many different nursing homes all at once. Because this is a consolidated, organized, and ready-to-integrate contact directory, you can pull it in to your CRM and email leads in nursing homes right away. Our nursing home mailing list is a great tool for marketing an organizational solution, cleaning service, nursing education program, physical therapy item, or other health-relevant product/service. No matter if you're hoping to market your company's products or simply network with the physicians, decision-makers, or nurses at nursing homes, you can use this accurate database of accurate sales leads to make a lasting impression. Perhaps your business can help to take care of the people who take care of the infirm; let them know with this email list. Either buy this pre-built nursing home contact list or create your own leads list with our customization tool. Find accurate information on the contacts you need today with Bookyourdata.com!